Women's tunics in cotton and linen. Wear them on the beach or poolside as a bikini cover-up, then dress them up for a night on the town! This airy kelapa tunic is made from sheer, very breathable, 100% cotton crinkle fabric. Doubles as a beach or poolside cover-up and comfy yoga top. Features side slits at hips for mobility, and flowing Indian-style, full-length sleeves. 4.4 stars based on 12 reviews. You may order a standard garment size with specific modifications. For example: A size M shirt with a custom sleeve and/or shirt length, a size 4 dress with a custom length, or a size 32 pant with a custom inseam length. If you know your pant size (slacks or jeans), enter it here. For example: 34/32. 34 is the 'waist size', and 32 is the inseam length. Note: 'Waist size' is generally 2 inches less than your actual waist circumference (body measurement). Therefore, a size 34 ' waist size' corresponds to a 36 inch 'waist circumference'. If you are not sure about your 'standard size', please leave this field blank and provide actual body measurements only. 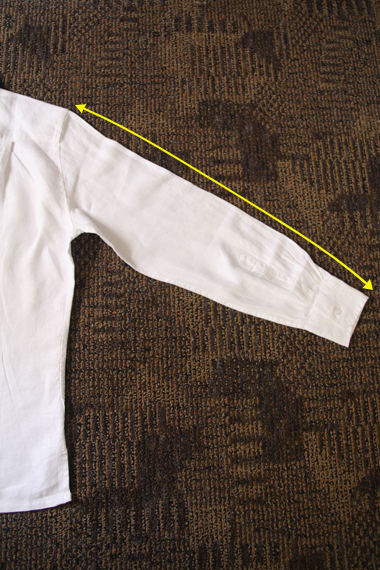 Measured from top of shoulder seam down to end of cuff of an existing shirt that fits well. 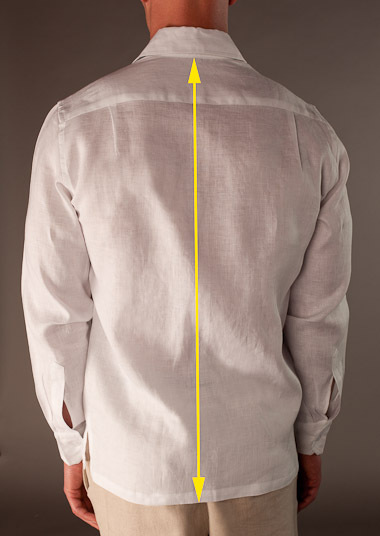 Measured from base of neck/collar to level at which you would like shirt to fall. Too long is always better than too short! Please refer to this product's size chart link for standard shirt lengths. Measured around narrowest portion of waist, as shown. Measured around widest part of hips and rear. Don`t see the color or size option you are looking for? We can accommodate petite and big & tall orders, along with other modifications. Click the Custom Order tab above for custom options.